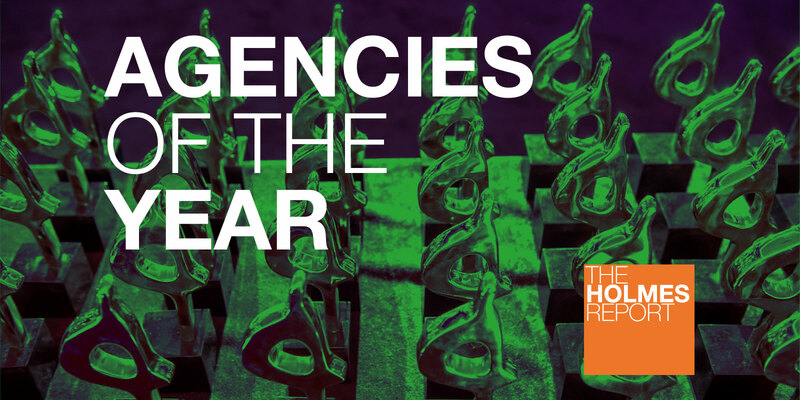 Our 2016 North America PR Agencies of the Year are the result of an exhaustive research process involving more than 150 submissions and 50 face-to-face meetings with the best PR firms across the US and Canada. Winners will be unveiled at the 2016 North American SABRE Awards, taking place at Cipriani 42nd Street in New York on May 3. Two years ago, competitors might have raised questions about M Booth’s future. The firm was acquired by Next Fifteen in 2009 and so some wondered whether founder Margi Booth would stick around after her earn-out, while others asked whether Dale Bornstein, brought in from Ketchum as CEO in 2013, would settle in a smaller, more entrepreneurial environment. Consider those questions answered: Booth continues to play a significant role in her own firm, while taking on an expanded role with the parent company, and under Bornstein’s leadership the firm grew by 39% last year to $26 million (no larger firm grew faster) while expanding its footprint (it is now active in eight US markets) and being named our Best Midsize Agency to Work For in 2015. 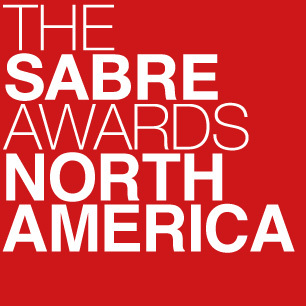 With seven campaigns shortlisted in this year’s SABRE Awards, Coyne continues to demonstrate remarkable consistency when it comes to driving results while also delivering standout work — testament to the firm's belief in the seemingly simple — but too often overlooked — idea that the best people will bring the best clients. Now in its 25th year, Coyne has grown to 190 employees, revenues up 19% in 2015 to more than $28 million in fee income. Indeed, managing growth has become a welcome challenge for Coyne, which the firm responded to last year by adding 45 staff and expanding both its New Jersey HQ and New York office. CEO and founder Tom Coyne and president Rich Lukis lead the firm’s impressive portfolio of clients that include: The Walt Disney Company, Hard Rock International, Red Robin Gourmet Burgers, Chrysler, Goodyear Tire & Rubber Company, Shell Lubricants, Columbia Business School and Pfizer. Within the past year Coyne also expanded its client roster to include Timberland, Mohegan Sun, AccuWeather, Younique Products, Robitussin, Advil PM and Owens Corning. Last year’s boutique winner has graduated to the small agency category climbing to revenues around $12m in 2015. This 19% uptick comes on the back of 11 consecutive years of growth and a solid profit margin. Exponent’s 2015 growth was hard fought after the Minneapolis firm faced tighter budgets from five of its largest clients: Caribou Coffee, DuPont, General Mills, Land O’Lakes and Nestle Purina. The firm’s notable transformation from an agribusiness agency to an integrated marketing shop made it easier to rebound with organic growth from existing clients such as Duluth Trading Company, Medtronic, Ruiz Foods, St. Louis University and Cenex Convenience Stores — while also helping to close wins like Florida’s Natural juice brand, two Silicon Valley-based companies including Granular, the General Mills Foundation, UnitedHealth’s new Harken Health brand and two DC-based trade associations, including Peanut and Tree Processors. Under the leadership of Tom Lindell, Exponent has sustained a remarkable client retention with two-thirds of its clients having been with the agency for three years or longer — and many of its largest clients exceeding a decade. Digital/social work now accounts for 48% of agency income, which includes web development, social media engagement, community management and shareable content creation. To this end, John Doyle recently joined in the newly-created position of executive director of brand experience and Tricia Cornell also assumed an expanded role leading brand publishing. Meanwhile from a practice standpoint, food and nutrition is the fastest growing, representing approximately 40% of revenue and includes Kozy Shack, International Olive Council and Chili’s At Home, among some of the other clients already listed here. The agribusiness and rural living practice is another 40% of revenue and health & wellness makes up around 20%. InkHouse’s staggering growth trajectory is somewhat surprising for a Boston-based agency that started with early-stage startups. Since its founding in 2007, CEO Beth Monaghan has steered the firm to become one of the fastest growing in the US with revenues reaching nearly $13m across its Boston and San Francisco offices. Longstanding clients include Raytheon, GE, Converse, OfferUp, Toyota, Fiverr, City of Boston, Equity Office, Bentley University and National Grid, meanwhile new additions like LogMeIn, Orchard, Zillion and Pathfinder International fueled growth. Navigating aggressive growth cycles while staying focused on the bigger picture has been a key strength for InkHouse, resulting in a strong culture that is known for championing work-life balance and gender equality. Monaghan was appointed by Massachusetts Governor Deval Patrick to serve on its Women in the Workplace Task Force and sits on the board of directors for Xconomy, The Alliance for Business Leadership and the Massachusetts Women’s Forum. It’s a pivotal year for Spong as president/founder Doug Spong stepped down after 26 years and agency veteran Julie Batliner ascends to run the IPG-owned shop. The changes come on the heels of a brand refresh that simplified the firm’s identify from Carmichael Lynch Spong to simply Spong. So far, the compass continues to point north for the firm as it enjoys another year of double-digit growth. Its commitment to cutting-edge creative comes through in investments like the Spong Content Lab, which true to its name is deemed a “place where we can test and learn” and “turn ideas into entertaining and informative stories.” While agencies housing content labs isn’t necessarily unique, Spong’s lab has yielded remarkable results. In this year’s SABRE competition, Spong’s work shows up as a finalist in four categories for clients Jennie-O Turkey, BJ’s Restaurant and Brewhouse, Arla Foods and H&R Block. Other notable work includes Genuine Thermos Brand’s Overnight Coffee Challenge, US Bank’s Power of Possible work and Sherwin-Williams: National Painting Week. The firm’s bedrock continues to be home, food & nutrition with expertise across brand marketing, corporate reputation, crisis & issues and CSR.